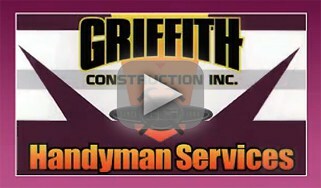 Griffith Construction, Inc. is your local and reliable handyman service company in New Jersey, specializing in any and all of your commercial and residential handyman repair and remodeling needs. As an owner-operated small business, Griffith Construction, Inc. does not need to pay a franchise fee. This allows us to offer you, home and business owners, competitive and cost efficient rates. We are proudly opened our doors in 1999. Over the years, Griffith Construction, Inc. (Griffith Handyman) has invested in Essex County, NJ towns and communities and established a loyal customer following. We understand that our customers live within certain budgets. This is why we work with them to develop a plan based on their needs and financial means. Belleville NJ, Bloomfield NJ, Caldwell NJ, Cedar Grove NJ, East Orange NJ, Essex Fells NJ, Fairfield NJ, Glen Ridge NJ, Irvington NJ, Livingston NJ, Maplewood NJ, Millburn NJ, Montclair NJ, Newark NJ, North Caldwell NJ, Nutley NJ, Orange NJ, Roseland NJ, Short Hills NJ, South Orange NJ, Upper Montclair NJ, Verona NJ, West Caldwell NJ, West Orange NJ.